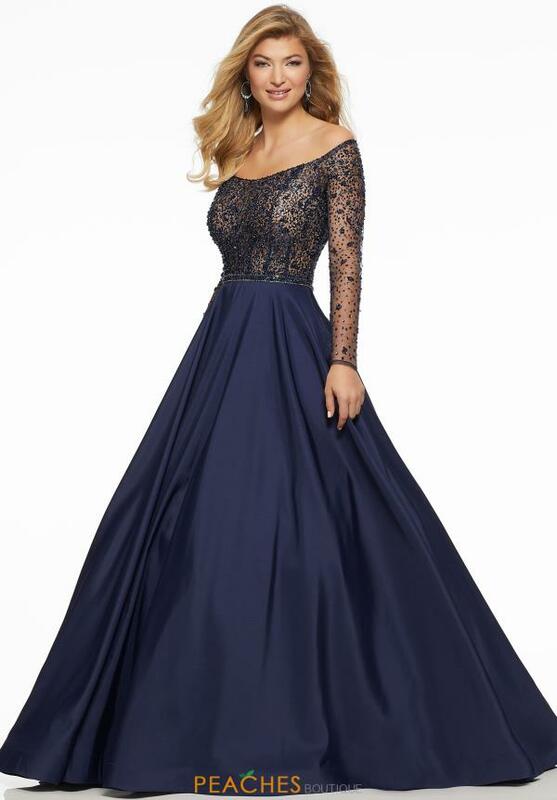 Wow the crowd at this years senior prom in this dramatic long sleeve gown 43031 from Morilee. This stellar gown showcases a fitted off the shoulder, illusion bodice decadently embellished with tonal beading and a banded waist. Made in rich taffeta color shades, the long, a line skirt has hip pockets. See more phenomenal Morilee styles at Peaches Boutique.